Hello again witches, seekers, and friends, and thanks for tuning in to Episode 43 of The Fat Feminist Witch Podcast! 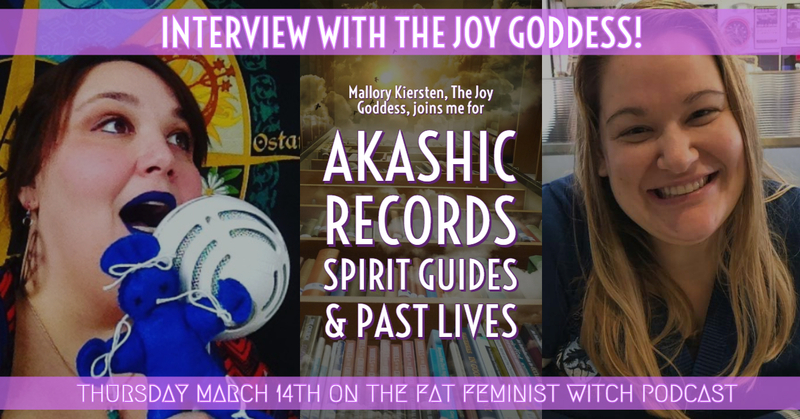 Today I'm talking with Mallory Kiersten aka The Joy Goddess, an akashic records reader and teacher, all about her practice, the records, spirit guides and past lives, and what you can learn about yourself by exploring your own records. If you want to learn more about Mallory, book a reading, or start learning how to access your own records you can do that on her website, facebook, and Instagram.